Look at these 2 cameras. Which one has been made redundant by technological advances? By way of background, the camera on the left is a film camera, a Kodak Brownie Flash II manufactured 1953-1963. 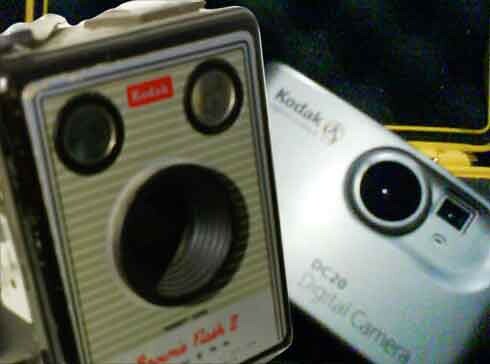 The camera on the right a Kodak DC20, a digital camera from the mid 90's. An honest review here. This page contains a single entry by s2art published on September 9, 2007 8:33 AM. Raw Processor Tool was the previous entry in this blog. Work Flow is the next entry in this blog.